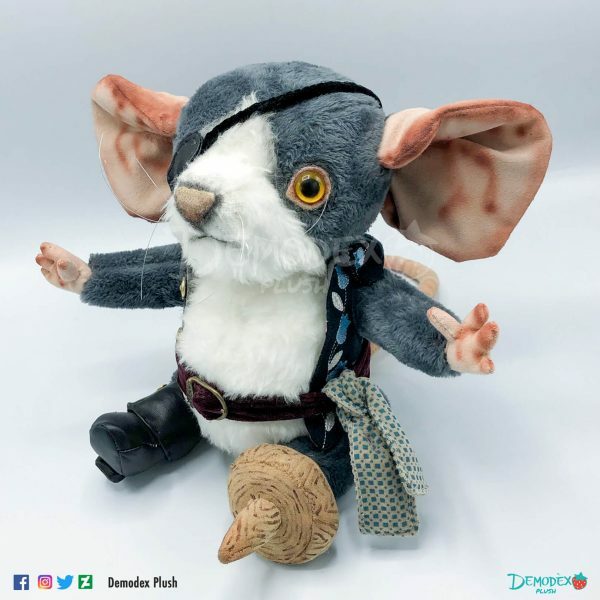 The Pirat is a plush that I created from my imagination, wanting to recreate a puppet with a vintage look. The idea came to me from the word game “rat” and “pirate”, as well as my love for rodents in general. 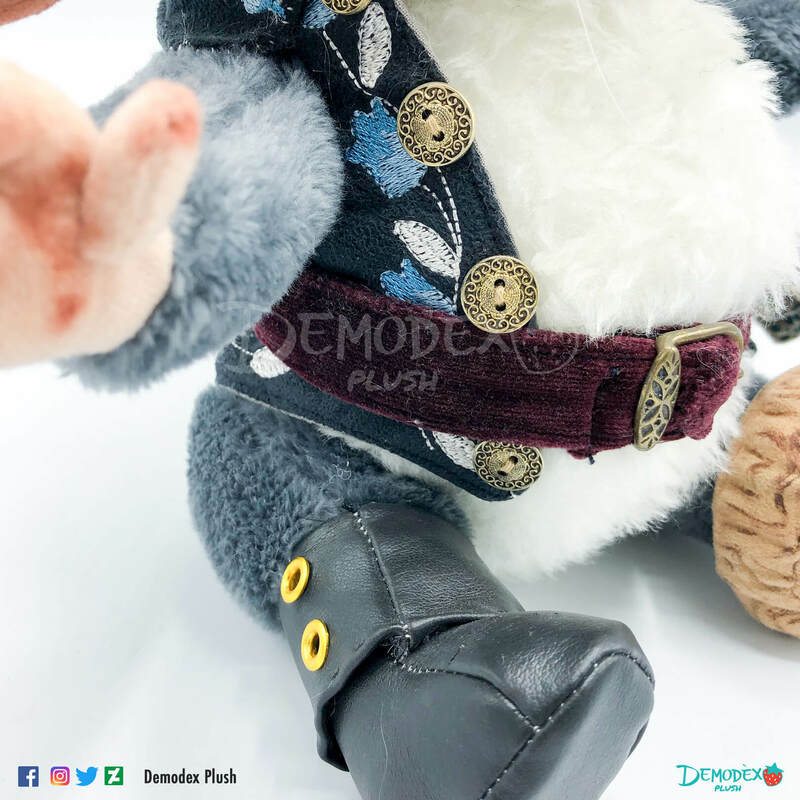 The materials used are varied, doudou, suede, faux leather and a cotton with embossed prints, and to enrich them I made custom embroidery on the vest. To give it an extra vintage touch, I colored it with an airbrush. 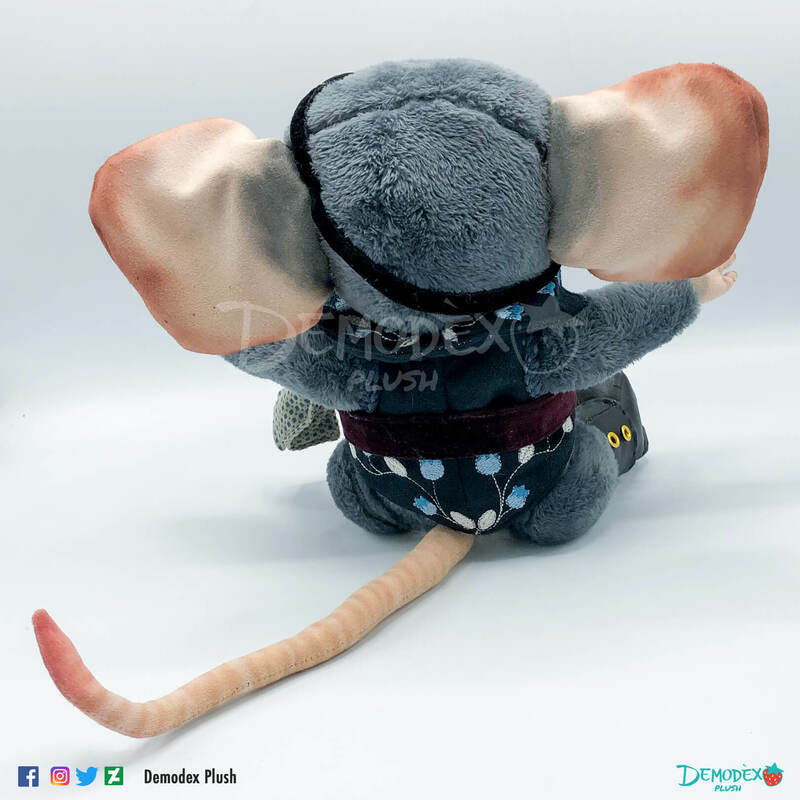 It is about 30 cm tall, the plastic eye has a safety catch, and the tail is slightly posable.